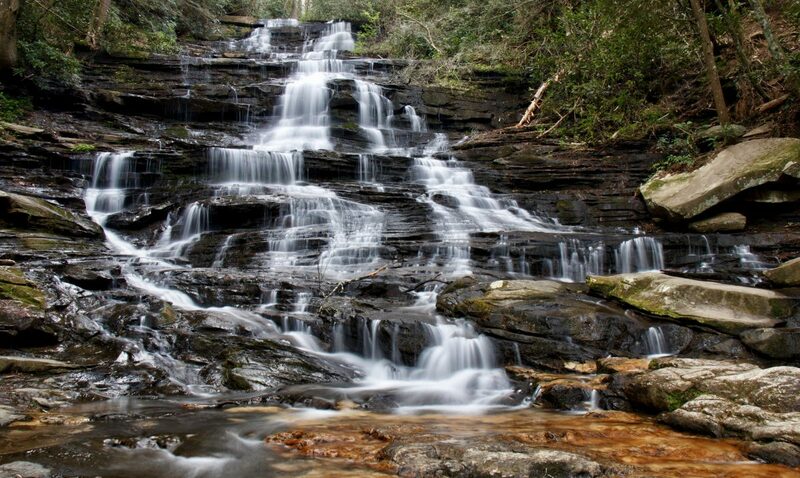 There is good news to be reported from Soco Falls. 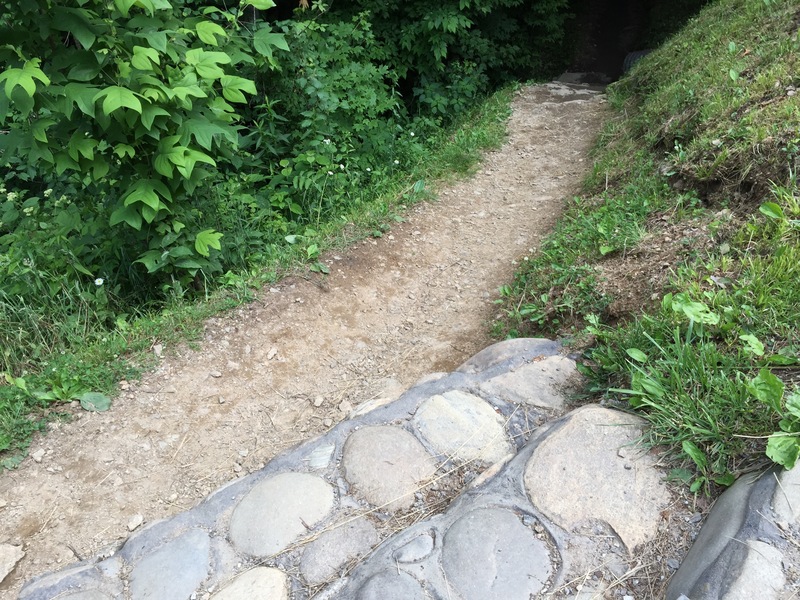 There have been some improvements to the treacherous trail that leads down to the base. It is hard to describe what all they have done. The ropes have been replaced for one. Also, it appears that work either has been done or is in progress to make the descent more of a “rock steps” if you will. I simply remember the last time I was there, the climb down was more of a mud path that was quite slick. 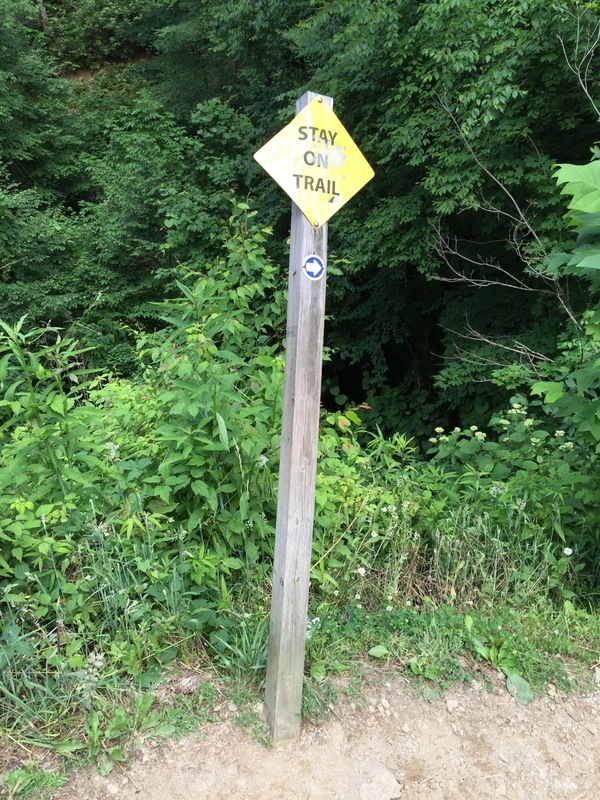 In fact the last time I was there, a lady had fallen off the side of the trail. 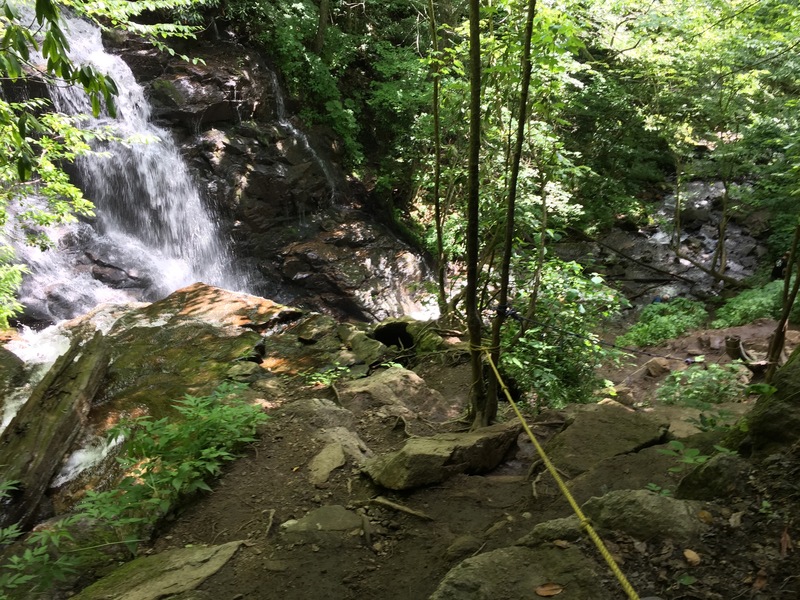 Here is the link to that trip report: Soco Falls – Still Beautiful, Still Dangerous. 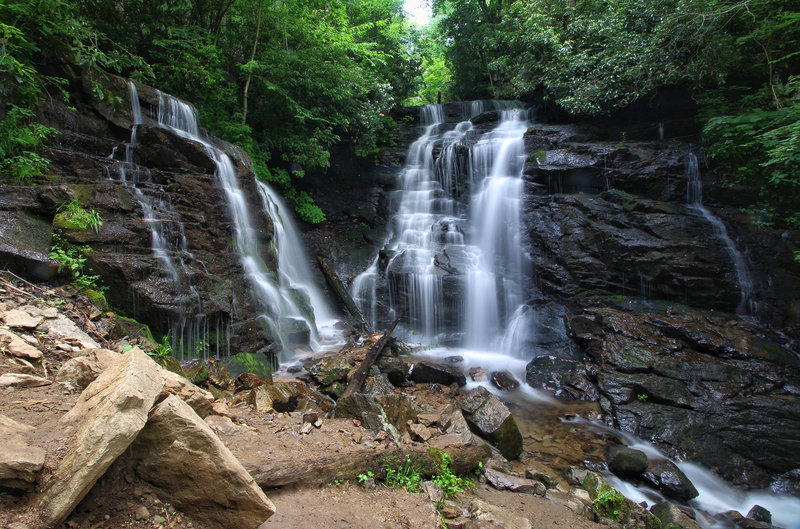 If you haven’t been to Soco Falls yet, you should put it high on your list. It is technically a roadside double waterfall where Soco Creek and a slightly smaller unnamed creek comes in from the left to both fall over the same ledge. There is a decent sized parking area along US 19, 1.5 miles south of the Blue Ridge Parkway. This is all just a few miles south of Maggie Valley in North Carolina. There is a short trail that descends to a very nice viewing deck. This part is totally safe and provides a nice view of the falls on Soco Creek. Here are a few iPhone shots of the trail and view from the deck. 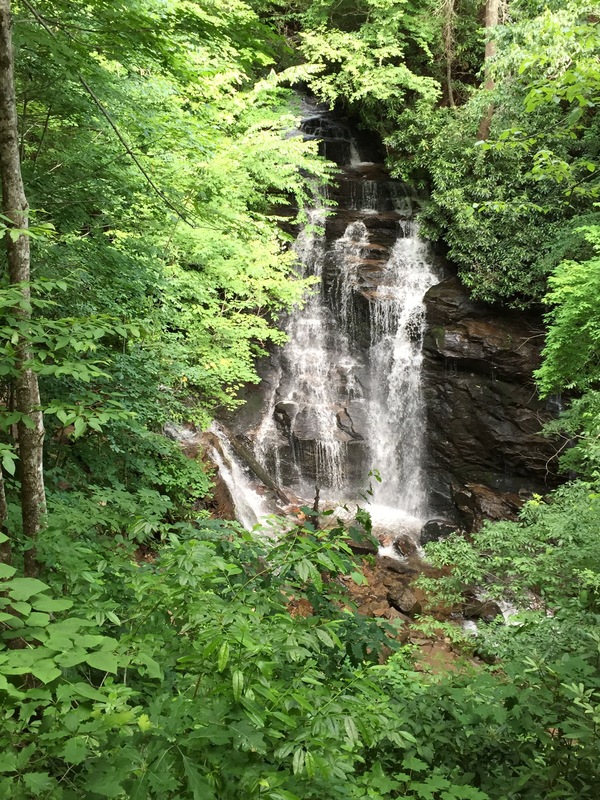 However….when there is a double roadside waterfall, a view of just one of the falls just doesn’t cut it…People over the years have shared my same thoughts and have worked a trail down the slick and very steep mud bank. 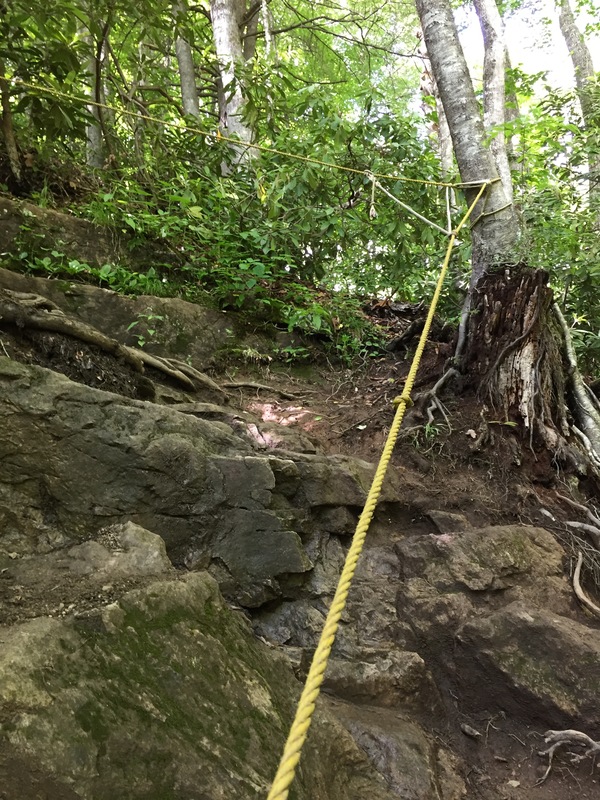 Ropes have been tied to trees to make it easier, but the area still has a history of people slipping and falling. It’s still steep, tricky and dangerous, but it is a tad better, whether my pictures can depict this or not. Most people should stop at the viewing deck. This is one of those visits that was totally unplanned. I was actually on my way to Waterrock Knob at 5820 feet on the Blue Ridge Parkway to attend a class/workshop. I was heading there to watch the sunset and attempt to photograph it. Yes, I am attempting to branch out and get into the sunrise/sunset scene. Waterfalls will alway be my first love though. Even on this day, when I arrived about 45 minutes early, and knew Soco Falls was just 1.5 miles away, I just had to sneak down for a quick peak before my class. This may have been a mistake as it had me in a waterfall state of mind heading into a sunset photo class. Waterfall settings and sunset settings differ dramatically. While I am fine to sit in my “waterfall comfort zone”, I still have a strong desire to learn and become better. Deborah Scannell was instructing a small class on the tips and techniques of making sunsets “works of art”. This is my second class I have attended with her and can totally say that she is an exccellent photographer with a brilliant mind, with a knack for helping people learn. Her rates are absolutely more than reasonable. Nothing beats learning onsite. I will take that over a classroom any day. To view her site and her many offerings, check out her site: Deborah-Scannell. Soco has always been my favorite. Thanks for the update. What beautiful shots and waterfalls! Looks like you had a great hike. Thanks for sharing!